What Are The Cheapest Cars To Run? In times of financial tightening, we all struggle with our monthly budgets. For most of us, a car is essential to commuting to work, getting the weekly shop in and so much more. You could be one of those people who now needs a car and is looking for the cheapest possible one. Here at Cheap Car Leasing, our aim is to get you the cheapest possible deal on the most affordable cars on the market. But keeping running costs low is just as important and the following cars are the cheapest cars to lease and to run dependent upon your needs. For those of you looking for a small city car to bustle around in that is cheap to run, the Germans will deliver. The Volkswagen UP is a great small car that is perfect for driving around your town or city and delivers excellent fuel efficiently. There is an electric model, but that is more expensive overall to lease, but the greenest fuel-powered VW UP in the 1.0 BlueMotion Tech Take Up. This model has a 1.0-litre three-cylinder petrol engine producing 60 bhp. this gives the car 100 mph top speed and an acceleration speed from 0-60 mph in 14.4 seconds. More importantly, it has a combined fuel economy of 68.9 mpg making it very effective to run. However, the UP will primarily be driven around urban areas and therefore has an urban fuel economy of 57 mpg, which will save you money on your monthly budget. Ford deliver well on the supermini front with their all-round highly rates Fiesta. The Ford Fiesta is excellent in performance, handling, comfort and of course, fuel economy. The cheapest Fiesta model is the 1.5 TDCi Style. This one comes with a 1.5-litre turbocharged diesel engine producing 85 bhp. From that power, this Fiesta has a top speed of 108 mph and accelerates from 0-60 mph in 12.5 seconds. Thanks to it being a diesel engine, the fuel economy is better with a combined economy of 88.3 mpg. The Ford Fiesta will be likely used on both the motorways and the urban streets so it has an extra-urban economy of 94 mpg and an urban economy of 81 mpg. This one is particularly good at saving you money on the budget. Skoda has been on top of the market for years now and their Octavia delivers on those high standards. Skoda has focused on ensuring their models are efficient to ensure their customers don’t waste money on their budgets when they don’t need to. The cheapest Octavia to run is the 1.6 TDI 110 SE Technology model. It has a 1.6-litre turbocharged four-cylinder diesel engine. It produced 110 bhp, which allows it to accelerate from 0-60 mph in 10.70 seconds. It also tops out at a speed of 122 mph. So when it comes to fuel efficiency and saving you money on that monthly budget, this Octavia delivers a combined fuel economy of 76.4 mpg. For those of you who travel far on the motorway, you will find an extra-urban fuel economy of 81 mpg and for the city drivers, there is an urban economy of 67 mpg. SUVs aren’t necessarily the most economical when we think about them. However, thanks to their continued development, SUVs are now greener and more economical. The cheapest SUV to run is the Kia Sportage on a cheap car lease. The most economic model is the 1.7 CRDi ISG 1. This model has a 1.7-litre four-cylinder turbocharged diesel engine producing 114 bhp. Because of its size, the Sportage isn’t the fastest or quickest of cars. It has a top speed of 109 mph and accelerates from 0-60 mph in 11.1 seconds. But it delivers on fuel efficiency. It has a combined fuel economy of 61.4 mpg, an urban economy of 52 mpg and an extra-urban fuel economy of 67mpg. Leasing a cheap car that is also cheap to run is great for our bank balances. It means we save money on our monthly budgets, which is never a complaint. 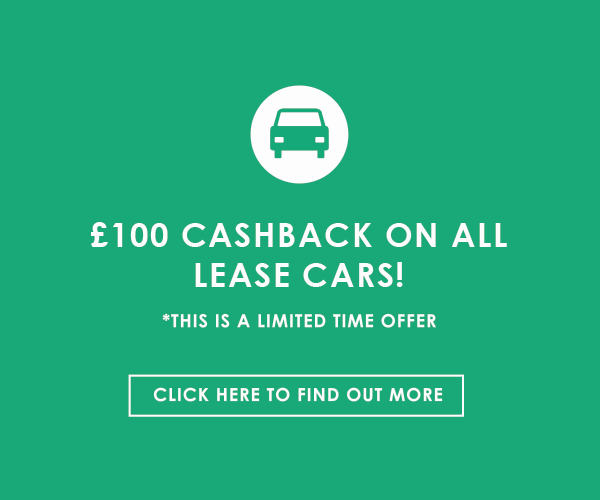 If you are interested in leasing a cheap car, check out what we have on offer for you.